"Lifetime" is taken from the artist's remarkable 2018 album on Warp Records. 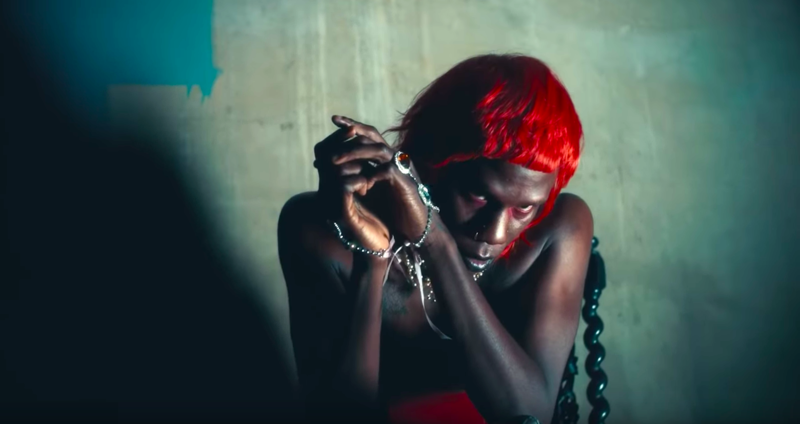 What makes Yves Tumor such a captivating artist is the multi-instrumentalist’s capacity to up-end expectations and entrenched ideas of genre, reinventing his own musical identity in the process. That’s what made Yves Tumor’s 2018 release on Warp, Safe In The Hands Of Love, so impressive—the embrace of indie and pop song structures submerged in an undertow of noise and industrial music tropes. Now, one of the stand-out tracks on the album, “Lifetime”, has received an official music video. It showcases the artist’s ability to give evocative and visceral live performances. With a myriad of wonderful costumes—including a devilish character ensnared in a web of fauvist red—it’s the perfect visual accompaniment to an already absorbing track. Check it out above.